Welcome to Arlington Neighborhood Village! 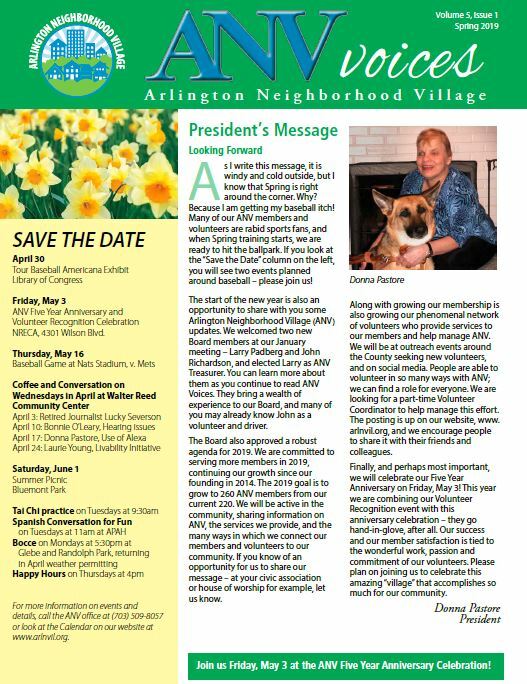 Arlington Neighborhood Village (ANV) is a volunteer-driven, non-profit organization dedicated to helping older residents of Arlington County, Virginia continue living in their own homes — safely, independently, and with an enhanced quality of life. Since April 2014, Arlington Neighborhood Village has been serving residents throughout the county who are 55 and older. Adult volunteers of all ages provide transportation and shopping assistance, access to social and cultural activities, health and wellness programs, simple home repairs, as well as information on a host of professional and social services. Have back-up support during a period of incapacity, now or in the future. 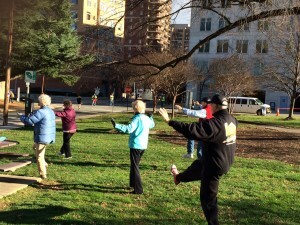 Make a community connection, especially for those recently retired or relocated to Arlington. Volunteer to help their neighbors. Get a little help with errands or getting to the grocery store or medical appointments. Receive help with technology or minor household repairs. Enjoy more peace of mind — for themselves and their family members. Support the mission and ensure ANV’s future. 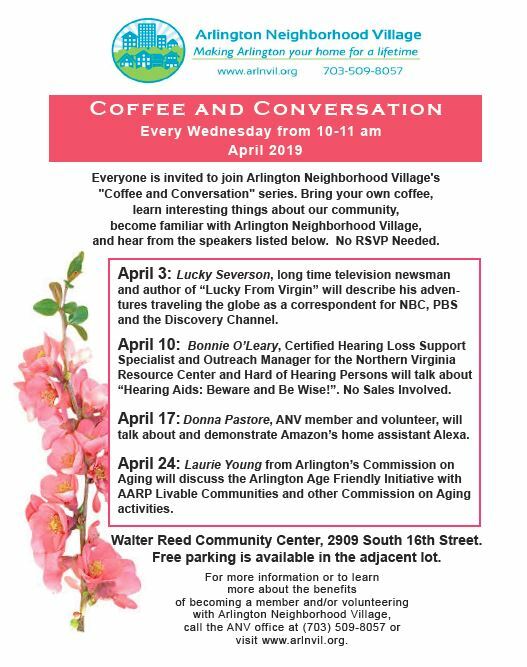 Don’t just take our word for it — hear from our members and volunteers how Arlington Neighborhood Village has enriched their lives. ANV’s Impact Report for 2017 is available. 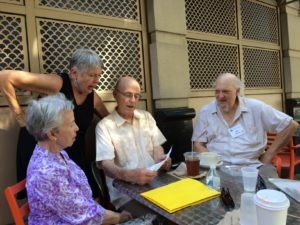 Now more than 200 members with a 95% renewal rate, ANV’s nearly 200 volunteers provide services, organize programs and activities. Funding support from two foundations attests to ANV’s growing stability. 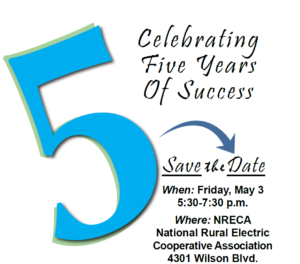 It all demonstrates ANV’s value to the community.